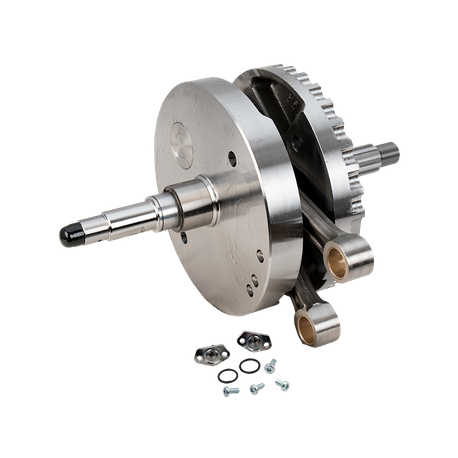 Stock bore stroker kits have always been an economical way to increase the displacement of your engine. 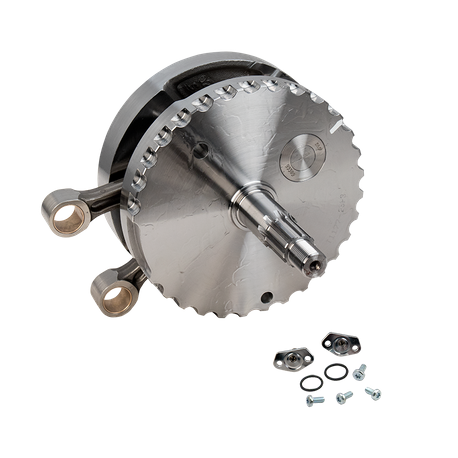 Installation of this kit does not require any special machining, other than fitting the pistons. S&S stroker pistons, which are sold separately, are available in all standard oversizes. Stock 88" cylinders can be bored from 33⁄4" bore to 37⁄8" to accommodate the S&S pistons, or a pre-fit S&S cylinder and piston kit may be installed. Engines with factory 95" kits require piston fitting for the correct oversize only. Stock or S&S cylinder heads can be used. Fuel injected engines will require recalibration of the fuel injection system – the S&S VFI modules and closed loop sensor kits are highly recommended. Since stock cylinders are used the engine height remains stock. This kit is engines with internal balancers only. For pre-2003 crankcases with Timken® right main bearings or crankcases that have been upgraded with a Timken bearing upgrade kit. 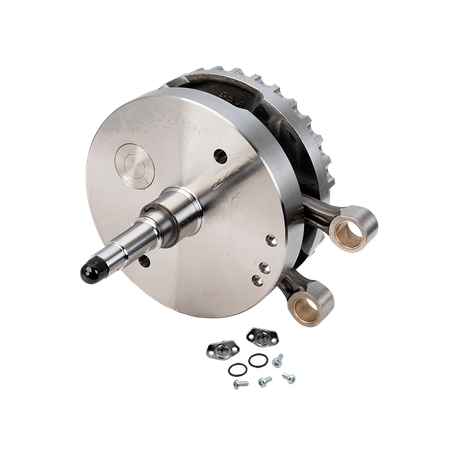 This kit requires special pistons which must be ordered separately The sprocket shaft of this flywheel assembly is designed for use with a Timken® left main bearing. Not legal for sale or use on CA or EPA pollution controlled vehicles 1978 and later.